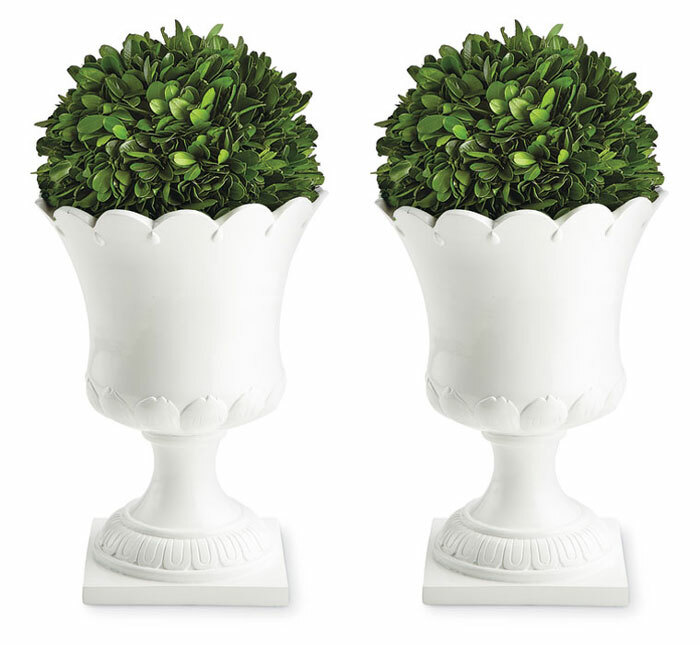 They looks like bone china, but our planters are made of sturdy resin. They're lovely on their own or with topiary added. Use as a set on a mantel or foyer table. The round topiary shown here is not included. 7.5”DIA. x 10.25”H; 5.25”SQ. base. Formerly $95, now 40% off. Discount may not be applied to prior purchases.